Considering my best friend is a reiki practitioner, you'd think I'd be at least well versed in this trendy form of energy healing. But I'm not, and as my stress levels leave much to be desired, I decided it was high time I took the plunge to see if maybe this was the proverbial "chill pill" I'd been looking for. 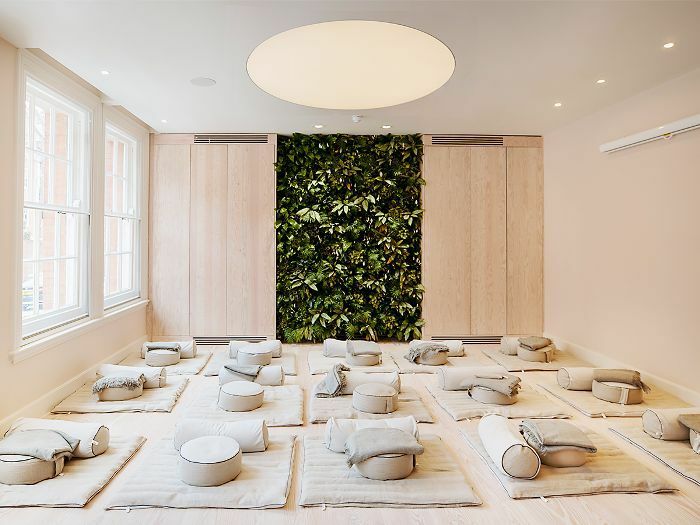 I booked in to visit Re:Mind, the hip new meditation studio in London's Victoria that everyone seems to be talking about right now to try out the Re:Heal class (a session of reiki meditation) bright and early at 8 a.m., ahead of a super-busy Wednesday. Inside the meditation studio, there are a dozen or so little snoozing stations set up, like the chicest sleepover you'll ever experience. Each participant gets a comfy mat, a pillow, a blanket and a lavender eye mask. My advice? Wear the eye mask. The bright lights in the studio can be a little distracting to your meditation game. Once hunkered down under the blanket, the class starts with a guided meditation (monitored breathing, body scanning, mantras… you know the deal). I followed the therapist's guidance as closely as possible, batting away as many thoughts of impending deadlines and missed texts as my mind had the strength to resist. I'm probably the furthest thing from a meditation expert, but I actually felt like I was getting the hang of this switching-off thing. It was so chill. I didn't fall asleep (I know that because I could hear another class participant snoring quietly), but I was so out of it that I might as well have. Next, the meditation teacher went quiet, but in all honesty, I barely even noticed. I had reached that dreamy state nuzzled right in between the cold clarity of consciousness and the warm embrace of sleep. As much as my brain wanted to remind me of all the things I had to achieve that day, it was as though my body wouldn't let it. If you've ever had a facial and found yourself half drifting off to sleep and half wondering what on earth the therapist is about to paste onto your face next, then you'll understand the feeling entirely. While I was buzzing off the silence, the teacher then came round to each of us for the reiki treatment. Given that this was my first time, I was mildly conscious of her presence when she hovered over me, but it wasn't uncomfortable in the slightest. As far as I'm aware, she held her hands above my upper body/head, and I swear I felt a strange warmth come over me. Of course, it could have been the sun beaming through the large window next to me, but I'm desperate to believe it actually did something. After more moments of utter silence, the teacher slowly pulled our minds out back into reality, which marked the end of the class. Although I'm not keen on the idea, I hoiked myself away from my makeshift snooze station and headed to the door. Despite the train station's best efforts, nothing even remotely ripped me from my state of bliss on my way into the office. Yes, I still spent my trip making a to-do list in my Notes app, but I didn't have that same grey cloud hanging over my head. I felt like I had been given a sleep bolt-on—an extra 60 minutes of super-intense, mind-massaging shut-eye that worked harder to replenish my soul than any of the six hours I had already experienced the night before. I'm never going to be someone that starts every day with two hours of meditation, but I can see why more and more people have started to incorporate classes like this one at Re:Mind into their weekly schedule. This stuff is addictive. I'm still figuring out what the reiki part is all about. A few more classes with my friend will help, but as for the meditation, I'm digging it. Book tickets for Re:Mind's Womanhood event series here. Whatever you do, don't make the mistake and think that a pair of relaxed jeans fit the "comfortable" dress code. Yes, there isn't a lot of movement in the session, but you definitely want to be as comfy and cosy as possible, so opt for something like a soft pair of leggings. I know I will be next time. Our editorial director swears by these leggings for all the flights she goes on. She says they make you feel like you're wearing nothing but you still have your modesty intact. A fleecy jumper like this one from ASOS will add to that cocooning effect. 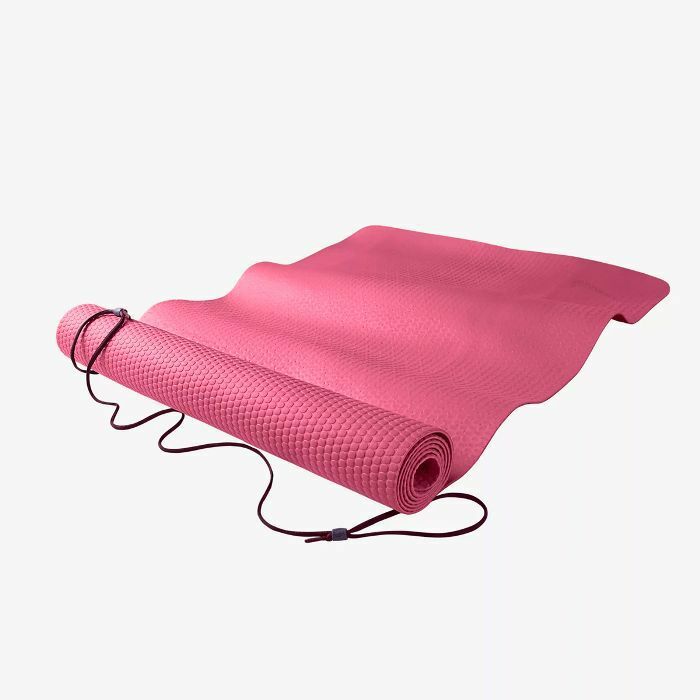 The Re:Mind studio has all the equipment you need for the class, but if you're going to try and re-create the experience at home, investing in a spongey yoga mat is a good place to start. Socks are always important, and these ones have gripped bottoms so you can use them for barre and yoga, too. Will you be trying Reiki meditation next? If so, I'm confident that you won't regret it.